Hearing this, the casual observer might say duh, and wonder why such a study makes the news at this late date, a full five years after British Petroleum’s oil rig exploded and sank, gushing oil for 87 days into Barataria Bay. And indeed, the study is not the first of its kind, nor will it be the last, because there’s just no underestimating the persistence of scientific denial in the oil industry when science threatens to force responsibility upon its corporate leaders for environmental disasters. Among the defenses BP mounted against past studies is that Barataria Bay’s dolphins were already suffering from pesticides and other toxic chemicals, so there’s no way to tell for sure whether it was oil or something else that had sickened them. The new study, as a consequence, has meticulously ruled out every other cause. "They were trying to put it on external forces, when what we’re really talking about is corrosion, improper maintenance, and a failure to abide by regulations." The Santa Barbara oil spill, on the shores of Refugio State Beach, has so far released only a small fraction of the Deepwater Horizon’s 206 million gallons of oil, and this time from a pipeline onshore, not a rig situated nearly a mile beneath the sea. But it has blighted an ecosystem of global importance, at the very top of the Southern California Bight, the fecund expanse of California coast that begins at Point Conception and extends into Baja California. It’s in the channel between the mainland and a chain of islands 20 miles out that dolphins assemble in schools of hundreds and migrating whales collect their krill. The coast is home to shorebirds and waders that thrive on its abundant fish. It’s also beautiful. Beyond injuries to wildlife, the Refugio spill shares a common etiology with Barataria Bay’s: Both accidents followed a long period of lax enforcement and mismanagement at the federal agencies supposedly regulating offshore drilling; in the case of the Santa Barbara spill, the federal agency charged with regulating pipeline safety has been without a leader for seven months. Worse, reports Nick Welsh in the Santa Barbara Independent, Plains All American, the Houston-based company that owns and operates the pipeline, had no local oversight either. The company wriggled out from under the county’s watch more than 20 years ago, arguing successfully in court that the pipeline was an interstate project and hence the exclusive province of federal regulators. As a consequence, this pipeline was the only one in Santa Barbara County without the automatic shutdown technology the county requires. It had to be closed off manually, and an estimated 105,000 gallons of contaminating crude poured out before it was. As of this writing, only about 9,000 gallons have been mopped up. Hazardous liquid spills from pipelines are on the rise nationwide as infrastructure buckles and corrodes with age and neglect. Corrosion on the 30-year-old Trans-Alaska Pipeline is known to have caused the 2006 break that emptied 267,000 gallons of crude into Alaska’s Prudhoe Bay, and a valve failure on a pipeline spread 10,000 gallons of oil through the streets of Atwater Village, a Los Angeles neighborhood along the L.A. River, this time last year. That was Plains All American’s pipeline, too, recalls Damon Nagami, director of the Southern California Ecosystems Project for the Natural Resources Defense Council. And at first, a company spokesperson tried to blame tampering for the break. One hundred and seventy-five violations, to be exact, all since 2006, according to the Pipeline Safety Trust, an independent industry monitor. It would, however, be misleading to focus too heavily on one company. 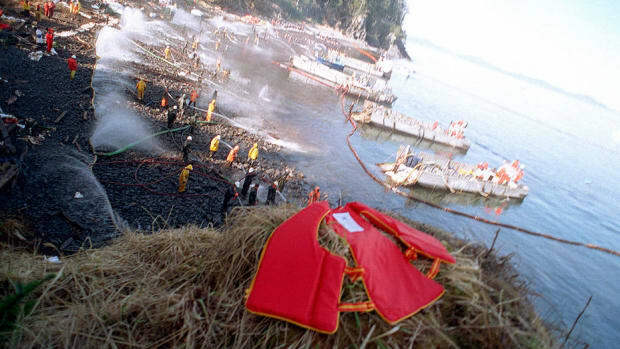 The entire fossil-fuel industry, Nagami says “has a lot of faith in its ability to self-regulate and self-police its operations.” There’s even institutionalized denial that spills happen, evidenced by the fact that, despite all the accidents involving exploding rigs, leaky pipes, and ships run aground, the industry has made zero progress advancing clean-up technology. 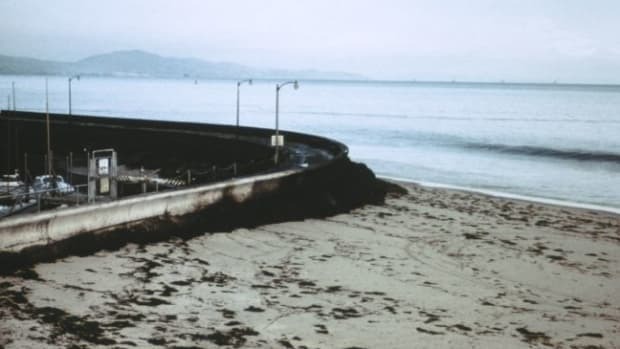 The scrubbing, soaking, and skimming happening now on the Santa Barbara coast and in the channel “is the same technology used in 1969,” Nagami points out, when more than four million gallons of oil erupted from a well blowout off the Santa Barbara coast—an incident that inspired the first Earth Day. 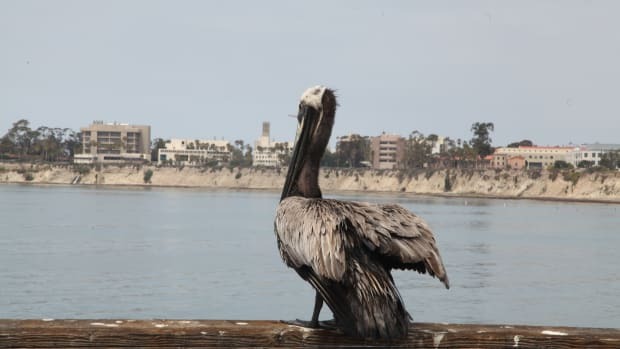 It’s too soon to assess the spill’s impact on wildlife, but already the world has been shocked by images of California brown pelicans, a species only recently removed from the endangered list, struggling to break free of oil slicks. With luck, their suffering will at least force an industry out of denial. It might also provoke us, Nagami says, to examine the way we live. It’s getting ever more difficult to deny that’s true. This post originally appeared on Capital & Main, a Pacific Standard partner site, as “Slick With Denial: &apos;Self-Regulation&apos; and the Latest Oil Spill." 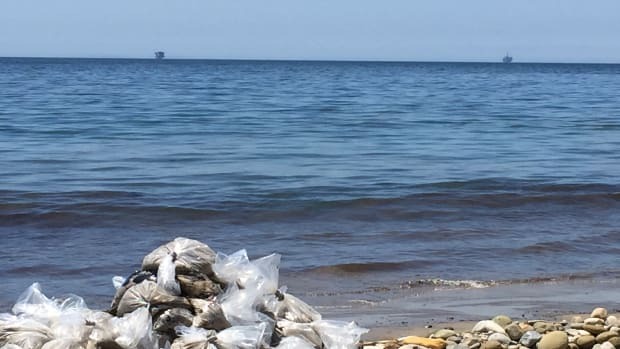 Why Do We Still Clean Up Oil Spills With Shovels and Buckets? What Can the 1969 Santa Barbara Oil Spill Teach Us About Animal Life? History—and science—have a lot to teach us here in Santa Barbara, California. 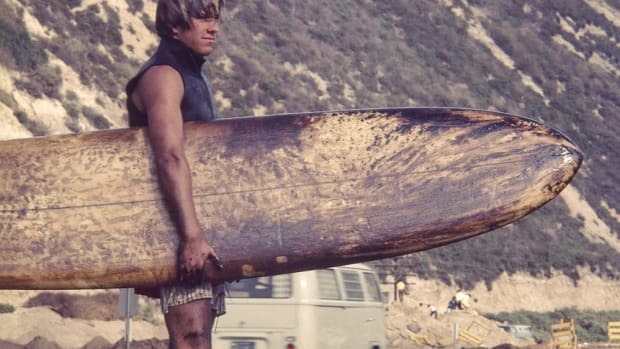 What Can the 1969 Santa Barbara Oil Spill Teach Us About Trusting Estimates? 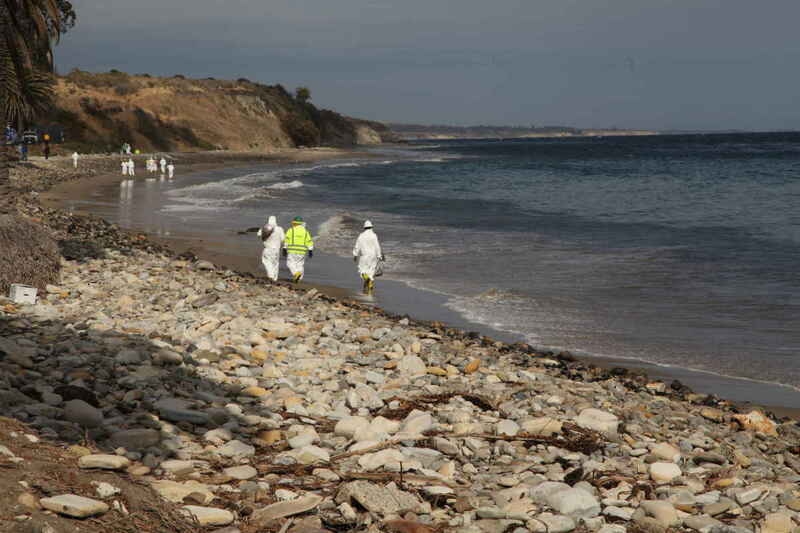 For Santa Barbara tourism, the recent oil spill could present a crude reality. A collection of on-the-ground photographs from Gail Osherenko.